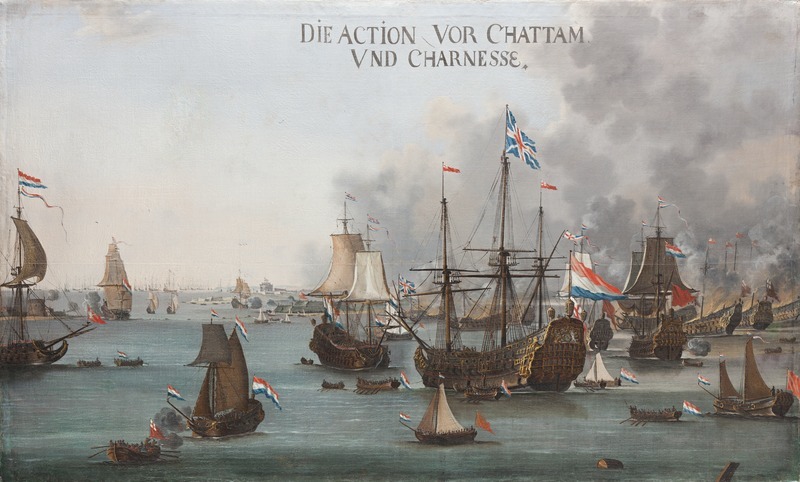 The 350th anniversary of the Dutch attack on the Chatham and The English Fleet lying in the Medway, which saw Dutch raiders capture the Royal Charles, flagship of King Charles II’s Navy, will be commemorated at an international conference in the Historic Dockyard’s Royal Dockyard Church on Saturday 1 July. The programme will include talks by naval historians from the UK and The Netherlands and a private viewing of ‘Breaking the Chain’, the Historic Dockyard’s summer exhibition which explores the events of 1667 with material from a wide range of British & Dutch organisations. The conference will explore the rethinking of foreign policy and national naval strategy and the importance of the Medway, reflecting the shift of maritime supremacy from the Dutch to the British during the eighteenth century. Colonial trading rivalries throughout the world were the outer ripples of this dynamic and an integral part of the whole story, with the international repercussions of the Dutch wars in the seventeenth century leading to the beginnings of an identifiably modern European structure which has many resonances today. The conference will begin at 6pm on Friday 30 June with an open lecture in the Royal Dockyard Church by Jeroen van der Vliet of the Rijksmuseum, Amsterdam, followed by a reception. The Historic Dockyard Chatham is the world’s most complete dockyard of the age of sail and is easily accessible by road and rail – including High Speed services from London.